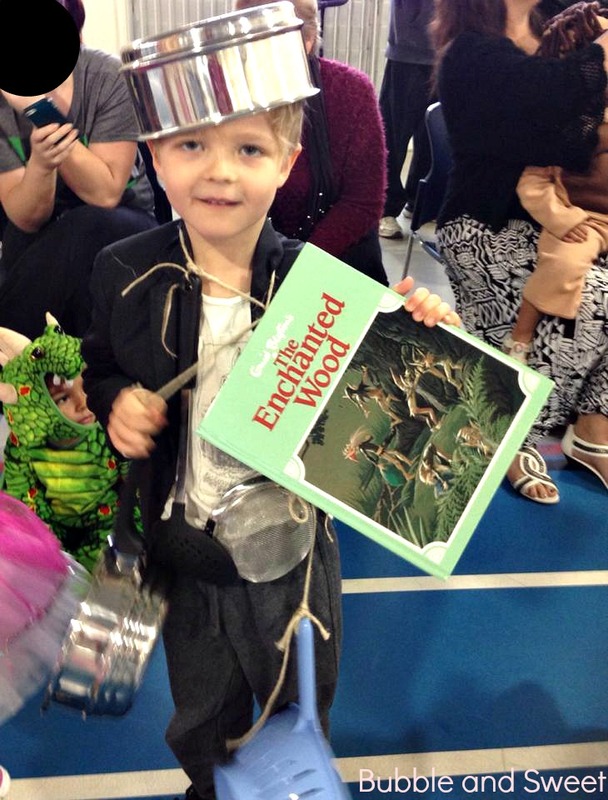 We love book week here, pretty much because we love books. Our school has wonderful library staff whom we adore and a morning reading club which we have always attended. 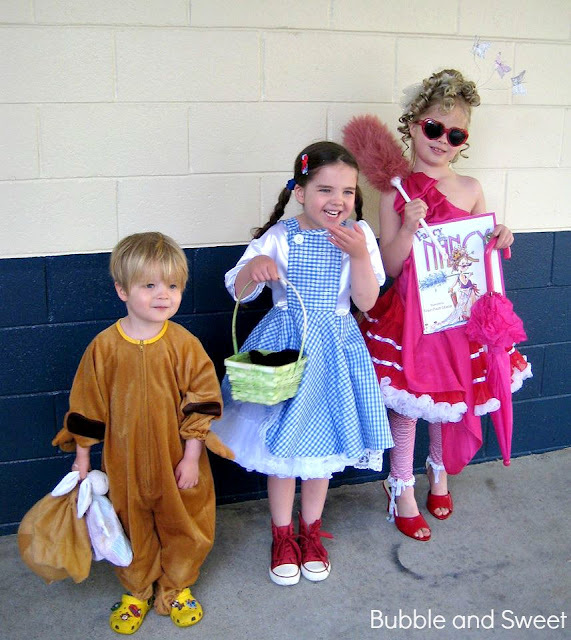 Plus my kids love dressing up so book week is a no brainer. 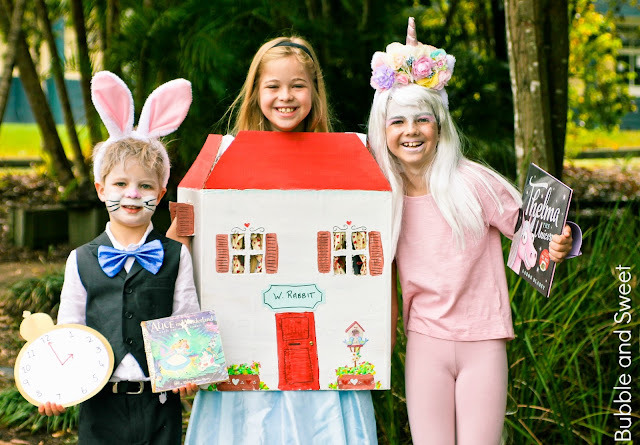 We try to follow a rule of not buying shop bought costumes or spending a heap of money which is kinda hard because I can not sew and also because I am pretty much craftless. I have mentioned before how I can not use a hot glue gun without sticking my fingers together (true story every single time). So I need to be extra creative, and my kids have to have a bit of a sense of adventure. 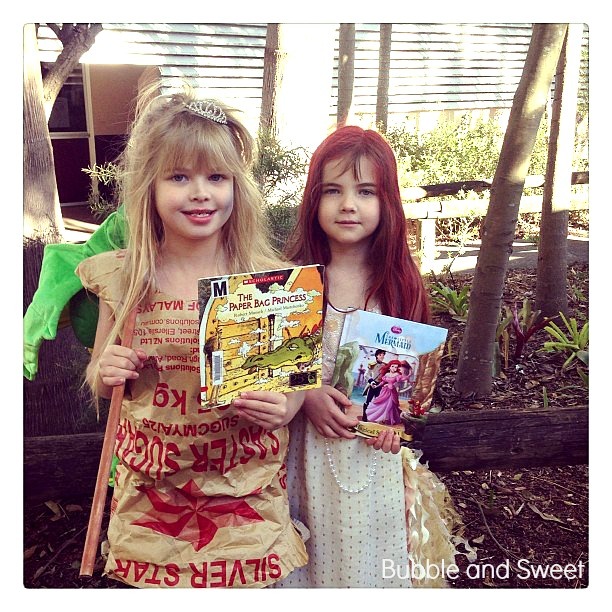 One year I sent Bubble as the paper bag princess in a huge brown paper sugar bag. On the morning of the parade I was emptying sugar into big containers and cutting holes out for the arms and neck. Some messy hair a bit of eye shadow 'soot' and a tiara and we had a perfect costume. Sweet was the little mermaid using a costume my sister had made for a birthday party and some red hairspray. Paper bag Princess and The Little Mermaid. Bubble was reluctant to get out of the car but in the end she loved it. Another year The Destroyer went as the saucepan man from The Faraway Tree. Luckily all my saucepans came home intact. Have saucepans in the kitchen ........hello no cost costume. Bubble's grade 1 costume was Fancy Nancy, changed the morning of the parade from another costume I had all ready to go. However at the time she pretty much was Fancy Nancy so we had no difficulty at all in rustling up a costume in 15 minutes. She even wore an old pair of my high heels just like the cover of the book. The other kids were completely in awe of her red heels. 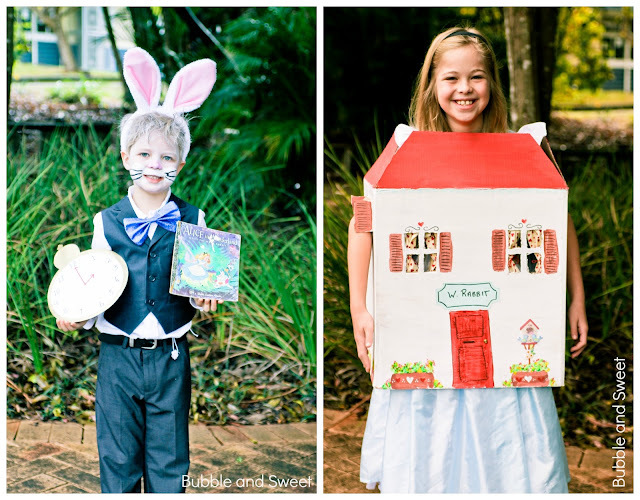 Last year Bubble decided not to participate and I made an Alice in Wonderland stuck in the white rabbit's house costume for Sweet. A few days before the parade Bubble changed her mind and I had to come up with another costume. 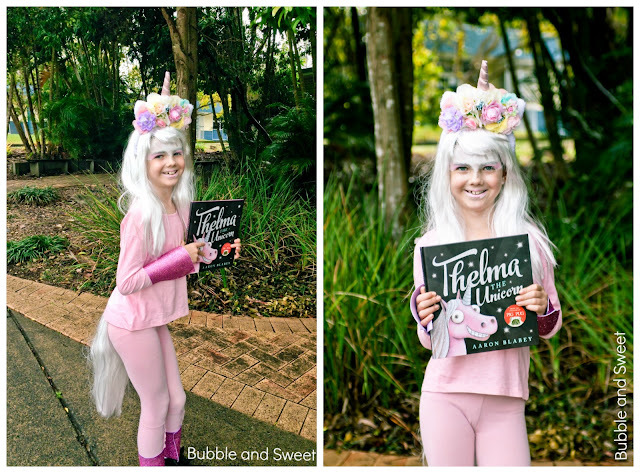 Luckily Sweet's favourtie book at the time was Thelma the Unicorn and I had the cutest Puddle Duckling unicorn flower horn that I already had ordered just because they are amazingly gorgeous. I popped down to the discount stores and bought 2 wigs and used one for her mane and one for her tail. I cut up some pink sparkly cardboard and stapled them around her hands and legs for quick diy 'hooves' added a bit of face paint and she was the cutest unicorn around. The Destroyer had decided to go as the White Rabbit from Alice in Wonderland. During the week I hand painted a cardboard clock. He popped on his suit and we found some ears and a bow tie in our dress up box. A little bit of white face paint, pink nose, white hair spray and some whiskers and he was ready to go. White Rabbit and Alice in Wonderland, that is a kinda embarrassed smile as there were quite a few kids gathering around by this stage. The Alice in Wonderland costume was of course the one I spent the most time on. But it was completely free using stuff I already had on hand. The box was something I had received in the mail, I used the kids paints and the dress was an old princess dress from our dress up box. I was a bit super proud of it considering I'm not really that good at craft. I've put my thinking cap on for this year and I am trying to come up with some fun ideas for the kids. Let me know if your have any good inexpensive ideas. 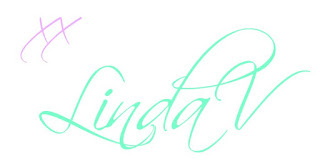 Linda Vandermeer is a blogger, baker, mother, owner of The Biscuit Cafe and author of the children's cookbook Sweets on a Stick: More Than 150 Kid-Friendly Recipes for Cakes, Candies, Cookies, and Pies on the Go! Published in the US in 2011 the book is still available online at Amazon and other online book stores. I love when people share my blog ideas and give credit. 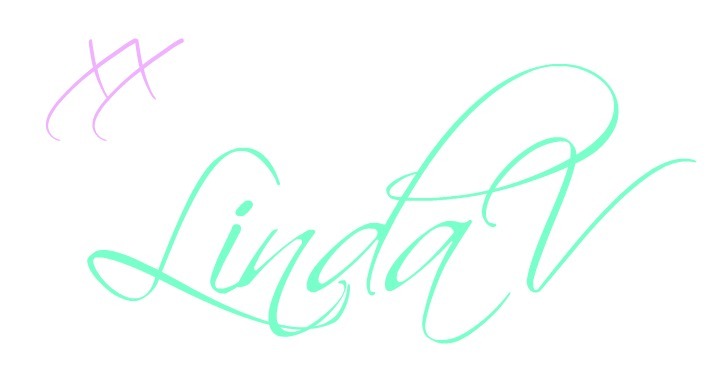 All posts contain original ideas, photography and recipes by Linda Vandermeer-McCubbin unless otherwise credited. Please feel free to link back to my blog for non commercial purposes.